Let the professioinals do your interior. We use only vat dyed European leather (no tears), and all of the stitiching is straight and of the highest quality. With our CNC and carbon fiber/fiberglass capapbilites, we can create practically anything possible in house, please call for inquiries. 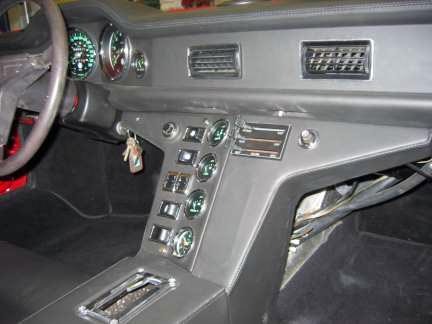 Our leather interior includes recovering of: dash, door panels, armrests, center console, gauge panel, back panel, plus a sound deadening kit, carpet kit and jute, headliner, choice of burlwood or carbon fiber insert kits.